There's probably no colour of flower arrangement more passionate than a red flower bouquet and with FloraQueen, sending red flowers worldwide couldn't be easier. A red bouquet of fresh flowers is perfect to offer a heartfelt happy birthday, a warm thank you or a loving anniversary greeting and we offer everything you need to send smiles around the world. Why do red flower bouquets make amazing gifts? Red flowers simply make the most passionate surprises, not to mention a clear symbol of love and affection for a special someone. What you may not know is that these beautiful blooms also communicate courage, desire and respect. Making these the perfect colour flowers to offer congratulations or spur someone on to a healthy recovery after an illness. Of course, without question a bouquet of red flowers is probably the best gift to convey your love to someone who makes your heart sing. What are the best red flowers to surprise with? Of course, no list of red flowers would be complete without roses, the most famous and popular red coloured flower of all. 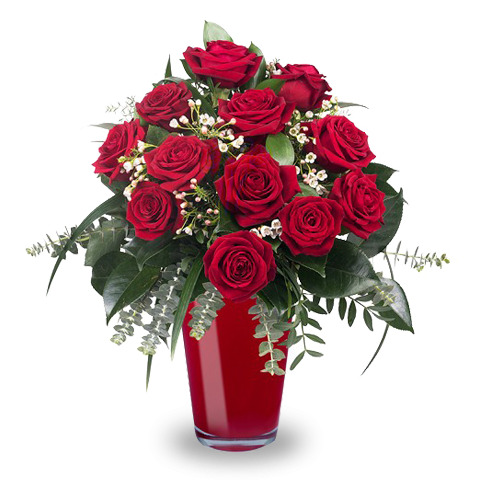 How easy is it to send red flowers around the world with FloraQueen? Select any extras or add-ons like chocolates, teddies and vases you want to send with your flower arrangement. Once your order is confirmed we'll ensure that your arrangement is delivered safely and on time with the freshest flowers. 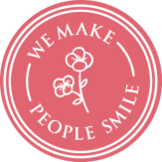 We work with expert local florists across all corners of the globe to ensure that we can deliver the best quality bouquet whenever you want to make a loved one smile.